You can learn a lot of things from trading books and videos. But solid price action trading skill might not be one of them. In the perfect world, you can read about how to trade with price action and start trading like a pro. But the truth is that most traders struggle to master price action trading. The sheer volume of knowledge and experience that you need as a price action trader makes challenging. Trying to become a price action trading pro within a short period is not realistic. Becoming a great price action trader can be a painful process. Like most things in life, you reap what you sow. You need to invest time and effort into proper practice. Even then, not all price action traders go through the same path. Some progress steadily while others struggle for years without success. On top of that, price action trading is a niche analytical method. Know what you’re in for. There’s a big difference between college finance theories and discretionary price action trading. Price action trading is sort of like dieting. It’s simple, but not at all easy. The bottom line is, like it or not, you need to work extremely hard. But with the proper signposts, you can get on the most direct path towards improving your price action trading skills. So before you take another trade, here are my 8 practical price action trading tips. They are designed make your trading better (and maybe even profitable). The cardinal sin of a new trader is thinking that price action trading is all about price patterns. They start by diligently studying the names of various candlestick and bar patterns. But that’s not the best start. You need to start learning price action trading skills from scratch. Then, and only then, will you appreciate the underlying logic of the various price action patterns out there. 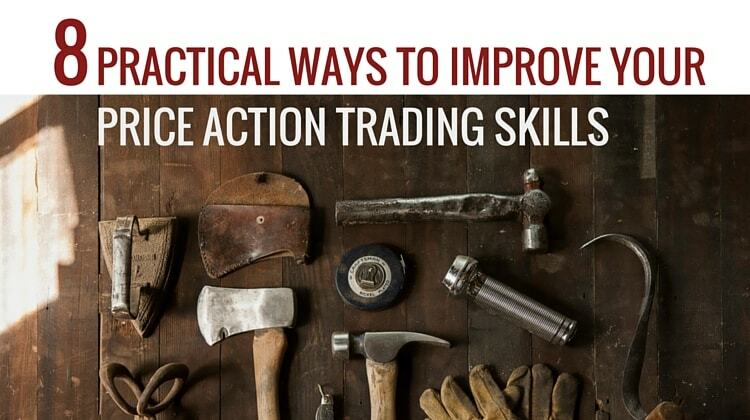 If you want to get better at something, you have to practise – and trading is no exception. 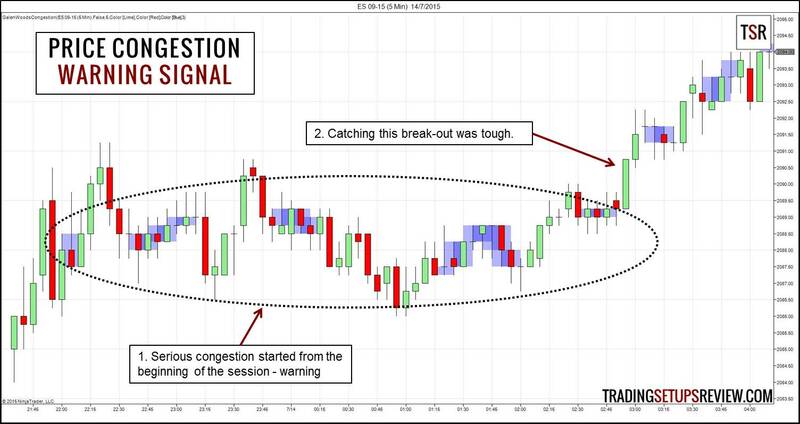 No shortcut that can turn you into a profitable trader overnight. If you want to improve your price action trading skill, watching the market swings is great way to start. Following the ebbs and flows of the market is the best way to track the market trend. Even when you can’t find a good trading setup, don’t stop monitoring the market swings. It offers good practice for honing your price action trading instincts. And practice makes perfect. Watch the market move and mark out all swings manually. The market often hovers above and around a price range. That price range is a support area. You would also have seen the market blocked from rising above a certain price range. That price range is a resistance area. 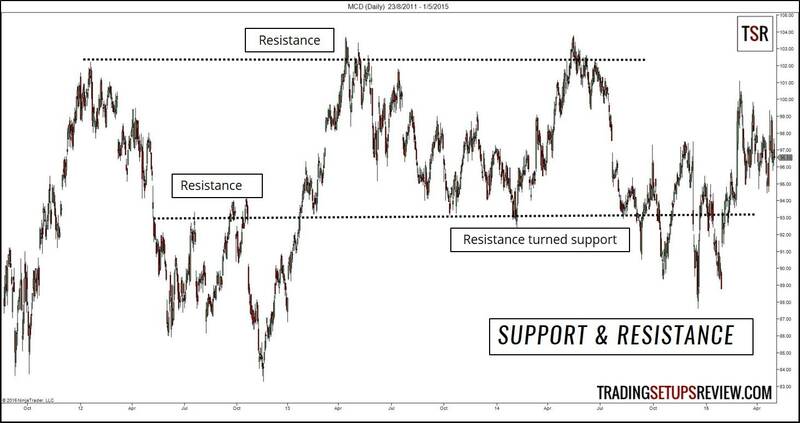 Support and resistance levels map out the market for price action traders. In essence, trading is a game of finding the most reliable support and resistance levels. You want to buy near support and sell at resistance. You want to sell short near a resistance and cover back when the market finds support. Support and resistance are not always reliable. But the best price action traders know that it pays to watch out for them. It’s a critical price action trading skill. For traders who can find reliable support and resistance, profitable trading is achievable. Mark out major support and resistance areas. Observe how price moves near them. Many traders learn candlestick and bar patterns as entry signals. But fewer traders understand how to make full use of these price action patterns. A price pattern helps you enter the market. For those new to trading, their understanding of price patterns stops here. They see price patterns as entry signals. A good entry tool must be clear. It must prompt action without hesitation. By this criterion, price patterns are indeed solid entry tools. A price pattern warns you against entering the market. Although each candlestick/bar pattern is defined, there is a quality spectrum. And it pays to avoid low quality patterns. Let’s take the Pin Bar as an example. 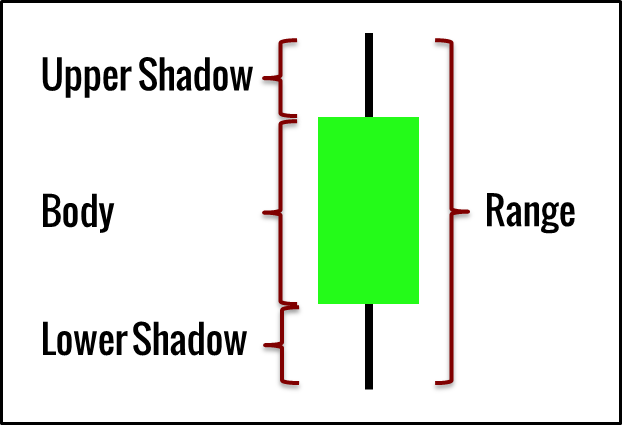 The defining characteristic of a Pin Bar is the long tail (shadow) which implies rejection. You will realise that the Pin Bar on the left is inferior. It’s the market shouting at you to avoid this Pin Bar. A price pattern limits your risk. 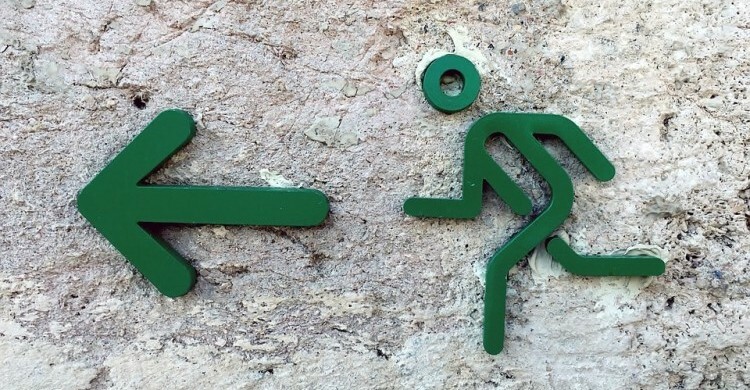 Your trade entry premise is always connected to your exit strategy. As you enter the market with a price pattern, you can also use it to exit. Each price pattern is a minor support or resistance level. This means that the opposite end of a price pattern offers an implied stop-loss level. A clean and simple approach to limit your trade risk. A price pattern shows you the market bias. In a bullish market, most bearish price patterns fail. In a bearish market, most bullish price patterns fail. Observe price patterns and the price action after them. Through their successes and failures, you can decipher the market trend and momentum. 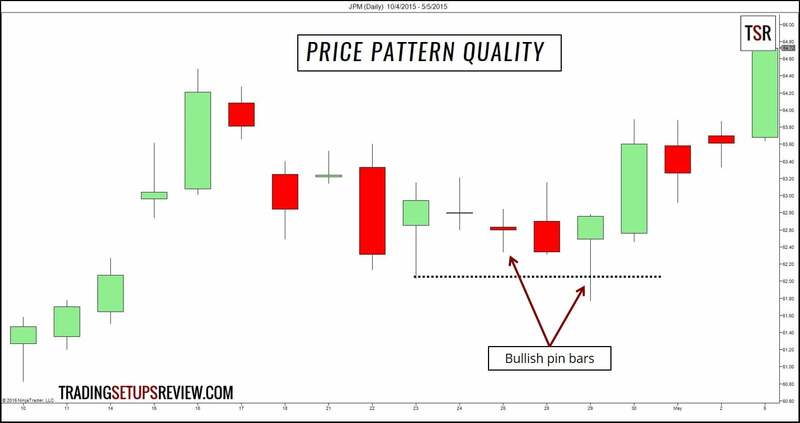 Evaluate the quality of price patterns. Use price patterns to place your stop-losses. Take note of price pattern failures. Price action signals work a lot better when they are clustered together. The best traders are patient. They sit on their hands until they see an irresistible trading setup. Often, an irresistible setup is one that enjoys confluence. It refers to the coming together of various supporting factors. Most price patterns are inadequate in isolation. Demand to see several signals supporting a setup before committing your precious trading capital. Aside from analysing price action, you should also take note of price inaction. Inaction refers to “lack of action where some is expected or appropriate”. In their eagerness to trade, many traders expect the market to move. As a result, they are slow to notice market congestion. When the market is congesting, you need to change your trading approach. If not, the congestion will be a source of constant whipsaws and frustration. But congestion is not something you need to avoid with no questions asked. It is also not a price formation you can afford to ignore. When you need to do is to study congestions as part of the market price action, embrace it, and make use of it. Make use of price congestion with the methods in this article. I’ve been trading, in one way or another, for the past eleven years. When I look back at my earlier trades, which I do every so often, it makes me cringe. I did not have a list of trading rules. Hence, I had no idea how to improve. Most importantly, I was not sure if I was making (or losing) money because of my trading rules or my trading gut. That was a huge obstacle to trading consistently. You need to know if your trading rules are working. You need to know if you are adding value when you choose to override those rules with your trading instinct. In a nutshell, you need to track your progress as a discretionary price action trader. To do so, you need to be aware when you are exercising your trader’s discretion. Write down a list of trading rules – discretion impossible. Write down a list of trading guidelines – discretion possible. Price action offers a solid way to enter and exit the market, but most traders focus on the former. They are just interested in entering the market. The exit strategy is usually overlooked. In particular, there’s often a lack of plan for taking profit. It’s common to see traders using a fixed target based on a reward-to-risk ratio of 2 or 3. That’s illogical because the market does not respond to the ratio you have in your mind. It responds to the price changes in the market. Hence, price action is a sensible way to set targets. You can use chart patterns to project targets. You can also use support and resistance to exit. For pullback traders, you can also look for signs of the market trend stalling. E.g. prolonged congestion and recurring long top shadows. Read this article on taking profits. Establish a system to exit your trades. There are many action items here. But if you try to implement them all at once, you will be overwhelmed. Then, there’s a higher chance that you will give up before making any real progress. Proceed slowly. Start with one item. Practise and gain confidence before moving to the next. As you spend more time watching live price action, you will grow better at reading it. Then, you can start to integrate everything you’ve learnt about price action trading. Finally, I hope these tips will help you focus your effort as you work on your price action trading skills. Practice is inevitable, but wasting time searching for the wrong things is optional. 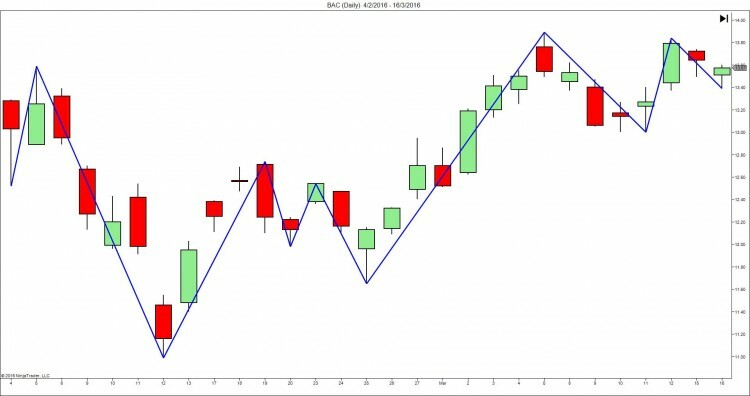 Looking for a structured way to learn price action? One that includes all the practical tips above? 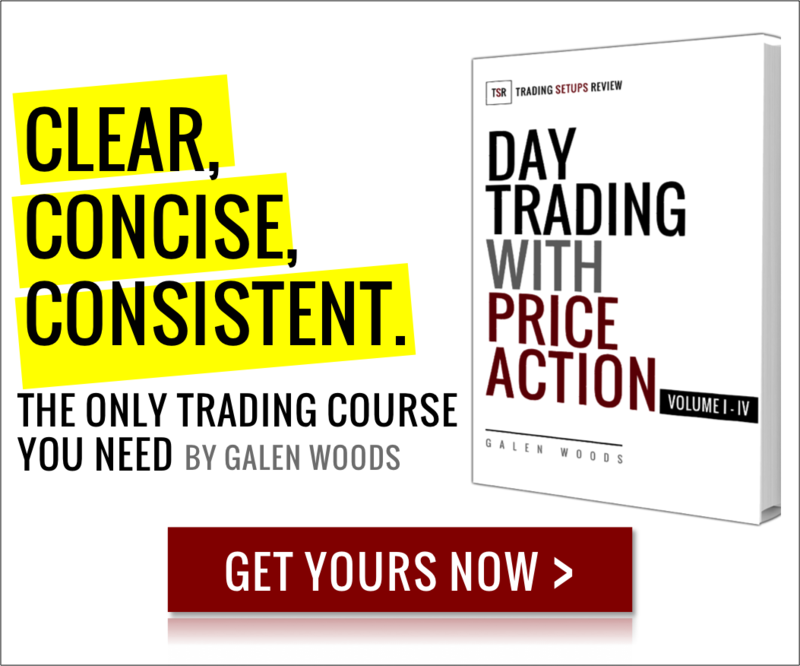 Check out “Day Trading with Price Action”. Thank you for the comment, Tomáš. Glad you like the article. Thanks for the comment! Feel free to email me if you have any questions about the course. are the best teachers on the world. Thank you Bozo for your continued support! Always happy to hear from you. Eye-opening notes on price-action in stock market. Thank you! Glad that you find them helpful for understanding price action. Thank you too! All the best to you. As always, glad to help!